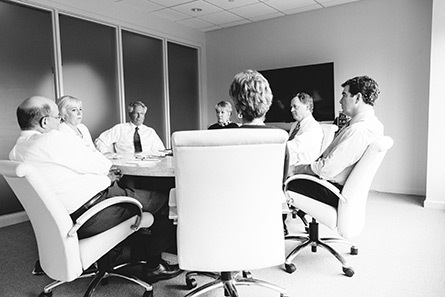 Bridgeworth is a wealth management firm, a fiduciary, and a leader in the financial planning industry with more than 23 CERTIFIED FINANCIAL PLANNERS®, seven past-presidents of the Financial Planning Association of North Alabama, and one past-president of the Alabama Chartered Financial Analysts. Bridgeworth was recently named one of Financial Times Top 300 Registered Investment Advisers in the country for the second consecutive year – 2017 and 2018. Bridgeworth was formed in 2008 by six CERTIFIED FINANCIAL PLANNER™ professionals who have practiced together since 1988. From the very beginning, financial planning has been the cornerstone of our firm; in our early days, we had the reputation of having a deep level of knowledge and experience in working with employees from a couple of our state’s largest employers as they made crucial decisions on accepting early retirement offers. We continue to leverage that experience in providing guidance to those in numerous other companies as they begin to address retirement decisions. We have assisted thousands of clients as they planned for and transitioned into retirement while addressing their ongoing needs such as estate, income, and generational planning. Learn more about the Value of Working With A Financial Planner. Today we have more than 50 team members and a second location in Huntsville to help us meet the needs of our clients. We are proud to say we serve as a fiduciary and have a fundamental and legal obligation to act in the best interest of our clients while providing financial planning and investment advice. In addition, Bridgeworth is a leader in the financial planning industry with seven past presidents of the Financial Planning Association, one past president of the Chartered Financial Analyst, and numerous advisors serving in leadership positions with both organizations throughout the years. Most recently, Bridgeworth was listed by Financial Times as one of the Top 300 Registered Investment Advisers in the country in both 2017 and 2018. We work with a variety of clients, but we specialize in women, retirees, executives, attorneys, physicians, and entrepreneurs. This focus allows us to understand the specific concerns our clients face and have the experience to help them pursue their lifetime financial goals. As an independent Registered Investment Adviser (RIA) we are a fiduciary. We have a fundamental and regulatory obligation to act in the best interest of our clients when providing financial planning and investment advice. We owe our clients a duty of undivided loyalty and utmost good faith and cannot and will not engage in any activity in conflict with the interest of any client. This higher standard aligns us with our clients in pursuing their lifetime financial goals. To partner with our clients to help them achieve their lifetime goals by drawing on a wealth of knowledge.